Photo of the Week. Sunset brings end to the day. Astronomy news for the week starting Friday, March 28, 2008. We begin our week with the Moon just one day shy of last (3rd) quarter, the phase passed on Saturday, March 29, in North America during the day well before Moonrise. 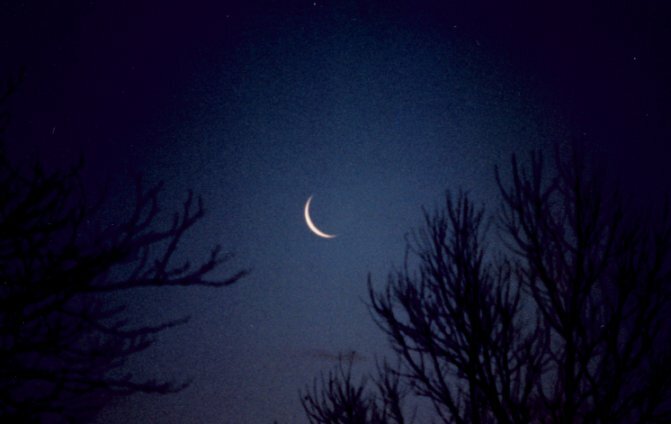 The remainder of the week then sees the Moon moving through its waning crescent phase, not reaching new until Saturday, April 5. Try to find the slim crescent in eastern dawn the morning of Friday the 4th. The mornings of Saturday, Sunday, and Monday (the 29th, 30th, and 31st) finds the waning Moon visiting with Jupiter. On the first of these dates, it will shine within the confines of Sagittarius to the west of the bright planet, on the 30th, the Moon will be close by and to the southwest of Jupiter, while on the 31st, it will have flipped to the southeast of Jupiter. The Moon then rather invisibly takes on three more planets, passing directly over Neptune on the morning of Wednesday, April 2, then passing north of Uranus and Venus on Friday the 4th. As the weather warms, we find Mars, now moving easterly in Gemini to the southwest of Castor, crossing the meridian to the south before sunset. Gloriously high in the western sky at the end of twilight, the red planet does not set (in the northwest) until nearly 3 AM Daylight Time, just a quarter hour or so before Jupiter, rising in the southeast, takes over. Saturn, creeping retrograde (westerly) through Leo just to the east of Regulus (the two making a fine pair), transits midway up the sky about 11 PM Daylight, and now sets just after the onset of dawn. As Orion and Canis Major slip silently to the west, there is still time to find a clear southern horizon to admire the stars of the great ship Argo. Of its three parts, the only one readily visible from mid-northern latitudes is Puppis, the Stern, which wraps around to the south and east of the Big Dog. From farther south, Vela (the Sails) and northern Carina (the Keel), the latter with the second brightest star, Canopus, come into view.